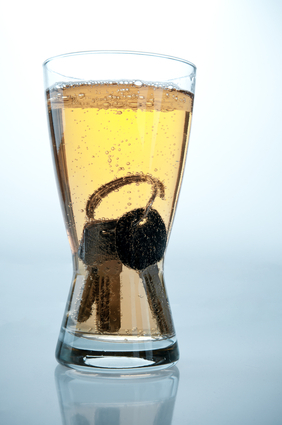 The California Court of Appeal for the Fourth District recently ruled that an employer may be held legally liable for an employee getting drunk at a company party and causing a fatal car accident. The case is entitled, Purton v. Marriott International Inc. (for a PDF of the full court opinion, click here). Facts of the Case: Michael Landri was employed as a bartender for the Marriott Del Mar Hotel in San Diego, CA. The hotel was having its annual holiday party and Michael decided to “get the party started early” by consuming a couple of shots of Jack Daniels and some beer at home before leaving to go to the affair being held at the hotel. At the event, he continued to consume alcohol, including hard liquor, being served by one of the hotel managers who was acting as a bartender for the event. He apparently brought a flask with him to the party and the hotel manager filled the flask for him “to go.” After the party, another hotel employee drove a group of workers to Landri’s house. Landri stayed about 20 minutes without consuming any more alcohol and then attempted to drive a co-worker home. Landri drove reportedly at speeds upwards of 100 mph, rear ended a car and killed the other driver. His blood alcohol content was measured at 0.16 and he was convicted of gross vehicular manslaughter and sentenced to 6 years in prison. The family of the slain victim sued both him and his employer, Marriott Hotels. The trial court granted a Motion for Summary Judgment and dismissed the case on the basis that even the facts as viewed most favorable to the victim’s family would not be sufficient to hold the hotel liable for wrongful death. Legal Analysis: There was no dispute in this case that Michael Landri was an employee of Marriott Hotels. The dispute was whether he was acting “in the scope” of his employment with Marriott at the time he consumed alcohol and then attempted to drive under the influence causing the victim’s wrongful death. The victims family pointed out evidence that it was customary to consume alcohol during hotel events like the holiday party, that employees were allowed to finish drinks left over from customers, do shots of liquor served by managers, taste new drinks and otherwise consume alcohol routinely while on shift. They further argued that Marriott benefited from the party by promoting employer-employee relations and morale. Marriott argued that consumption of alcohol by the employee was not within his “job description” per se and, further, that they shouldn’t be responsible for the employee’s consumption of alcohol on his own both before and after the office party.